Normally I wouldn't post a new HD Talk column so soon on the heels of the the previous one, but when a studio drops neutrality and announces format exclusivity, you have to break with convention. 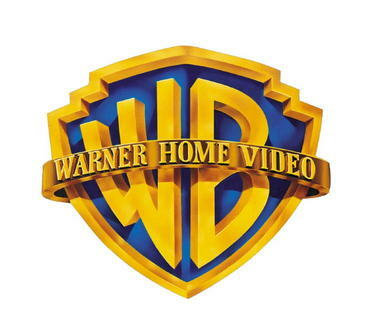 On January 4th, 2008, Warner Bros. announced that they would phase out their HD DVD releases in favor of Blu-ray, not producing any new HD DVD discs after the month of May. While rumors of WB going non-neutral have been circulating for weeks, the news itself still comes as shock, especially when you consider that Warner had several strong financial incentives to back HD DVD. In fact, there's word going around that WB intended to go HD DVD exclusive in conjunction with Fox (you read that right: Fox) going format neutral. At the 11th hour, Fox backed out, and Warner decided to go with Blu-ray instead. Whether or not the above is true, the fact remains that the decision is momentous. Anyone roaming the information superhighway on this night can see that the general consensus is that this move signifies the end of HD DVD. Not in an immediate, all the discs are off the shelves tomorrow, every HD DVD rises in value 1000% kind of way, of course. But this is the start of a chain reaction that will spread to the rest of the studios. We're already hearing reports of Universal looking at Blu-ray authoring houses and Paramount studying the clauses that might let them out of their exclusivity contract. Within hours of the announcement, the HD DVD group canceled their CES presentation. The writing appears to be on the wall. 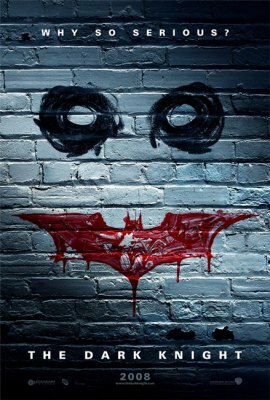 Warner Bros. upcoming blockbuster The Dark Knight will now be available only on Blu-ray. Previously, I was of the opinion that this format war was doing us, the consumers, much more good than harm. Without it, would we have seen players become as cheap as they are, or get a new Buy One Get One Free sale every week? Would we have seen titles that consistently hit new heights of quality and innovation? Absolutely not. But by now, it seems as if perhaps we've gotten the gains and are starting to feel the losses. A stalemate in format sales and increasing tension between the two camps were only compounded by the seeming indifference by the vast majority of electronics buyers out there. It's possible that Warner Bros. move could be the very thing that shifts the tide. Of course, it cannot be denied that this leaves HD DVD owners out in the cold. Some people are already throwing their hands up in disgust, trying to dump their players and discs before the ink is even dry on the press release. I would wager that I have far more HD DVD titles than most, including several large and expensive box sets, but I have no regrets about my purchases. I went into this knowing full well that there were two competing formats and that more than likely one of them would give way to the other. I've spent countless hours enjoying all kinds of movies, from classics like Casablanca and The Adventures of Robin Hood, to modern masterpieces like 2001: A Space Odyssey and Unforgiven, and brand new releases like Harry Potter and the Order of the Phoenix. And that's not even counting all of the great releases from Universal and Paramount. Even better, none of those discs are going anywhere. I will be able to enjoy all of these movies for years and even decades to come. Heck, I still have some of my old laserdiscs, so there's no reason why I wouldn't be holding on to HD DVDs in 2018. The other thing to think about is that as the HD DVD format fades away, the prices for the hardware and the media are going to drop sharply, meaning an eagle-eyed buyer can stock up on all those missing pieces in their collection for pennies on the dollar. Perhaps, in the right light, this negative could still be seen as a positive. 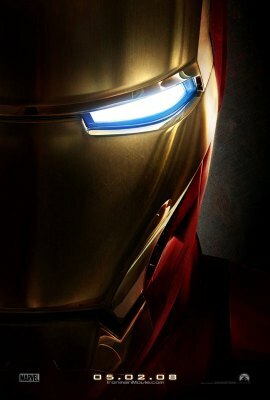 But will Paramount's much-anticipated Iron Man only be on HD DVD? Where does the future lead? It's hard to say. I doubt Blu-ray will overtake DVD anytime soon, although having everyone on the same page will offer some kind of boost to awareness and sales. I would like to think that companies can now turn to ironing out the remaining issues the format has. For example, so few players are currently Profile 1.1 enabled (and let's not even go into Profile 2.0 yet, as so far no player is compliant on that), and getting DTS-HD MA decoding is like pulling teeth. Warner Bros. was a leader in HD DVD interactivity, and with a new commitment to Blu-ray, they will hopefully blaze new trails on that front, as well. The possibilities are wide open. Finally, what does this mean for DVD Talk? After all, we've been staunchly format neutral, even when other sites have felt compelled to hunker down behind one format or the other. Now that I've just spent an entire article prophesying the end of HD DVD, does that mean that DVD Talk has finally broken its cardinal rule, and gone to fatefully pick a format of choice? No, not at all. My opinions on the future of HD media are just that--my opinions. It's my analysis based on the facts at hand. DVD Talk will continue to report on both formats comprehensively for as long as they're being made. We have nothing to gain by supporting one format or another, as the site is here for the readers. While we may make recommendations on which discs are worth buying, renting, skipping, what have you, we seek out a variety of opinions and don't see the value in telling anyone to buy only one format, as so many of the staff members at HD Talk own both. You can count on DVD Talk to offer neutral and unbiased HD coverage for as long as there's something to be unbiased and neutral about.